New York based Alanya Bridge is an award winning musical theatre composer lyricist. Her work has been performed around the world, including Broadway’s Future Songbook Series (Lincoln Center, New York, 2018), Broadway Celebrates New Musical Theatre (Feinstein’s 54 Below, New York 2018), Prospect Theater Company’s Monument (The Times Center, New York, 2018), Musical Theatre Factory’s Salon (Playwrights Downtown, New York, 2018), Uncharted: An Individualized Musical Theatre Cabaret (The Jerry H. Labowitz Theatre, New York 2018), Baggage At The Door (Dixon Place, New York 2018), Broadway’s Future Songbook Series (Lincoln Center, New York, 2017), In The Works (The Duplex Cabaret Theatre, New York 2017), Sound Bites 4.0 (The Pershing Square Signature Theatre, New York 2017), Songwriters Night (Playlight Theatre Company, New York 2017 & 2018), 52nd Street Project Songmaking (Five Angles Theater, New York, 2017), Bridge To Broadway (New Globe Theatre, Brisbane 2016), Home Grown (Chapel off Chapel, Melbourne 2016), From Page To Stage (Tristan Bates Theatre, London 2016), The Ribbons Of Life (St Giles-In-The-Fields Church, London 2016), Composer Spotlight for Musical Theatre Tuesdays (Theatre Royal Stratford East, London 2015), the showcase Short and Sweet Festival (Gold Coast 2014), SONGS SO FAR (Brisbane Powerhouse 2014, Leicester Square Theatre, London 2015), SOMETHING MORE (The Box, Brisbane 2013), CONNECTED (formerly Connect Four) (Metro Arts, Brisbane 2013, The Arts Centre, Gold Coast 2015, Harvest Rain Theatre Company, Brisbane 2015, Ruby’s Music Room, Melbourne 2015), WHAT WE BEGAN (2012), JUST A PHASE (R&D), IN BETWEEN (R&D), AWAKENED (R&D). Alanya is a graduate of the Graduate Musical Theatre Writing Program, Tisch School of Arts, New York University and former member of the BMI Lehman Engel Musical Theatre Workshop. She is a member of the Dramatists Guild and Mercury Musical Developments. She studied in London at Trinity Laban Conservatoire of Music and Dance, has a Master of Music (Distinction), and is a Licentiate of Trinity College, London. In 2018 her song ‘A Kind Of Emergency’ was included in the first official Australian Music Theatre Playlist. 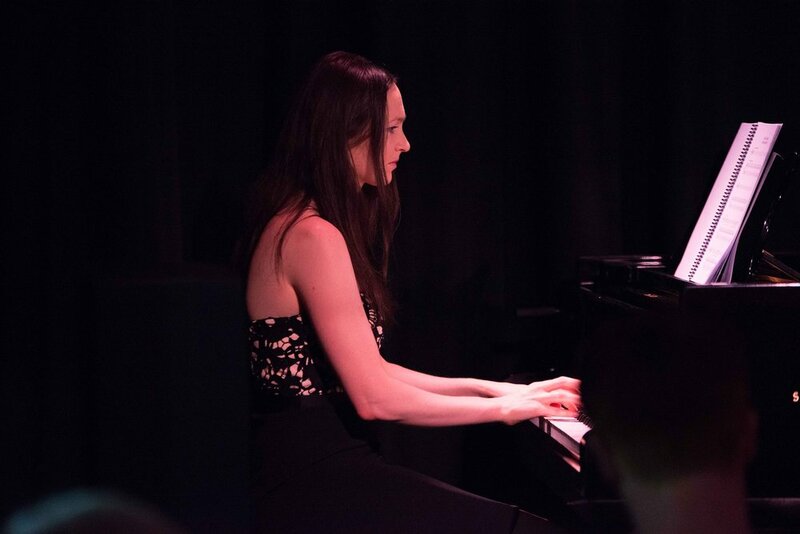 She is a 2017 MAC Wallowitch Award finalist, the recipient of the Wirripang Publishing award for New Composition and Specialist award for best Vocal Composition in 2013, and received the Rhona Morton Scholarship twice, for both her A.T.C.L. and L.T.C.L. Also a music director, playwright, performer, and singer-songwriter, Alanya's other composing works include the documentary Lost For Words with Hartflicker Moving Pictures, and has recorded three CDs of original compositions. Sheet music for her compositions can be found at ContemporaryMusicalTheatre.com, www.homegrownaus.com and alanyabridge.com.